When we assess how our writing affects our families, we usually think of time spent locked away from the rascal kids and the deprived spouse who is left to kiss the boo-boos, clean the crusted dishes, and run the errands. We weigh the money spent on printer ink, research trips and conferences against the statistically low chance of the book being blessed with a publishing contract. If we write memoirs, we may face the veritas challenge. Should we offer the truth, the whole truth and nothing but the truth? Or do we censor to keep the peace at home or protect the guilty? When I teach Writing Your Life workshops (as I will on the Thursday before PPWC in April), I suggest writing all the warts and determining later whether to pull back—for legal or personal reasons. No matter how we look at it, family relationships are important considerations. I’ve just run into another family versus writing conundrum. I’ve written a lot of erotica short stories and flash erotica (the latter sounds like an oxymoron, doesn’t it?). I was preparing to make a collection of them available for purchase online. My husband asked me not to. I assured him I’d use a pseudonym. He still didn’t feel comfortable about it. He worried our sons might find them. Or others could trace the stories to me. In our private lives my husband is far from being a prude, but the subject is so personal to him, a modesty button was pushed. His comfort is important to me, so I won’t sell them. Before you frown with empathy or cringe with peer indignation, you should know I have no regrets. I had a blast writing them and I believe no writing is time wasted. Special skills come from writing erotica: splatting down the truth with courage, avoiding stereotypes and clichéd euphemisms, and most fun—delaying the payoff. Wink, wink, suggestive smile. "If history were taught in the form of stories, it would never be forgotten." -Rudyard Kipling, born December 30. Promise to Believe (ISBN: 1492746010, 184 pages) is a Paranormal Romance re-released on September 15, 2013. Enchanted dreams, touching hands, touching hearts.. A wedding day shattered by ghosts. Soft, silent nights of talking in hushed tones of things never quite remembered. Does love endure the grave? Are soul mates, cheated once, given a second chance to love? Or is that madness? When Griffin Leroy lands a dream job, her life and sanity are nearly destroyed as she searches for answers and waits for a man who may not even exist. Simpliciter Paratus. Absolutely Ready - the motto of the Air Force 506th Rescue Squad. But after the death of his best friend in Afghanistan, parajumper Nic D’Onofrio is ready only for vacation. Driving back to his condo on Christmas Eve, Nic, known as Batman to his teammates, does something really stupid. He stops to help a damsel in distress. Her name is Julie. That’s all she knows. She’s wearing her pajamas. Nic can’t leave her there and she won’t let him take her to the hospital. The only logical - yeah, right - thing to do is to take her back to his condo. A Good Place To Land (ISBN: 1492766968, 230 pages) is a Military romance novel re-released October 2, 2013. In a blinding snow storm, wise-cracking Air Force Colonel Rick McIntyre, crashes his Black Hawk. His lifeline, as he awaits his own rescue, is the voice of Lily Atherton. If he gets out of this alive, he wants to meet her. Thank her. Fall in love with her. Marry her. But fairly tales like that don’t happen. Or do they? When faced with a deadline, many people wait until the "crunch" at the end to get things done. This usually involves sleepless nights, loads of caffeine, and stressed out nerves. There's a way around this. I call it "working from your future." In essence, don't front-load the work or put it off until the last minute. The best route is to make steady forward progress. Do the math and figure out how many days you have to accomplish your goal. Assign a number of days (or hours if you want to get that detailed) on how long it will take you to finish each item in the list. Don't fret too much over the days/hours assigned. They're flexible (to an extent), and are just there to assist you in planning. Do the math and figure out if your workload (as measured by time) will fit into the number of days you have to accomplish the entire project. You can ask for an extension to the deadline. Asking your editor/publisher earlier (rather than later) for extra time will give you some goodwill and might lead to an extension. You can look at your list of tasks and see if you can drop something. In other words, do you really need that detailed map of the world for your writing? If not, drop it. You can also look at your list of tasks and see if you can shave a few days/hours off of an item or three by doing a little bit less work on them. Sometimes, you plan for a deep research dive that isn't necessary. Just hitting the surface details of something is sufficient to get you started. Once you have the list figured into a time period that will fit your deadline, then you need to order your list in what must be done before other things. Obviously, things like research and outlining should come before the actual writing. The best thing to do is to work from the future. Put the final act of work (writing) at the end of the list. Put the item with most dependencies just above the final item. In other words, you'd probably put outlining right above writing, and then photos above that, and then world/character building above that, and so on. Research is usually the first thing on the list. By building the list from the bottom-up, you can figure out the order in which things must be done. Keep in mind, this is how my brain works. Your list may look much different from my own. Do what works for you. Just give the framework a try. Plan the last thing you want to do and work from the future to today. You may be surprised how such a weird way of looking at things will free you up. By taking a project (e.g. : research, plan, develop, and write a novel in three months), and chopping it up into consumable sizes, you'll be really surprised how much less stress you'll experience. I hope this helps you plan your future projects! Let me know how this works out for you in the comments below. About the Author: J.T. is a writer of fantasy, science fiction, and horror. He has been actively been writing since he discovered a local writers group in 2006. 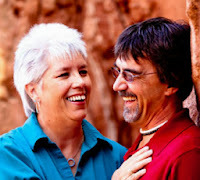 He joined the Pikes Peak Writers in late 2008 and attended his first conference in 2010. In that time, he has worked his way up the ranks in Pikes Peak Writers from "chair mover" and "auction guard" to webmaster and president of the organization. He has a story published in An Uncommon Collection, and is expecting two more short stories to be published soon. He is working on his second fantasy series, and will push the first book from the proverbial nest when it is ready. "Every writer is a frustrated actor who recites his lines in the hidden auditorium of his skull." -Rod Serling, born December 25. ...J.T. Evans discusses "Working From Your Future"
When I attended my first Pikes Peak Writers Conference, I didn't know any writers. I hadn't written a word since college. I felt like a giant fraud, certain someone would stand in a workshop, point at me and declare, "J'accuse!" And shy? It was all I could do to muster the intestinal fortitude to ask "Is this seat taken?" at lunch. This is where I'd like to tell you I met the agent of my dreams at that conference, who saw my hidden potential and gave me a billion dollar advance to write the novel of my dreams. Ha! Even then, agents weren't tossing money at unknown wannabes. And self-publishing was reserved for anarchists and pornographers, neither of which was an aspiration of mine. Instead, I met people who were deeply, passionately interested in the craft and the business of writing. People who read as deeply and widely as I did, dreamers from every walk of life. People who wanted to tell stories. People who wanted to tell lies and get paid for it. In other words, it felt like coming home. As though my entire life, I'd been just a half-step out of focus with everyone around me, speaking a language that was just a little different. But at conference? At conference I was surrounded by writers. It was just like that moment when The Wizard of Oz goes from black and white to color. Or the moment in high school when all of a sudden either algebra or geometry (never both) clicks and makes sense. We work really hard to make the Pikes Peak Writers Conference a successful event for everyone who attends, from the best selling keynote speakers to the most shy attendee hiding behind his or her laptop. Would you believe me if I said magic? We review every single conference survey our attendees fill out. We read every session evaluation. We look at what worked in the past and challenge ourselves to find ways to make it even better. We make every attempt to stay current with the rapidly changing industry of publishing, which is something like tap dancing on an active fault line--you never know when the whole foundation is going to shift. Not only that, we encourage all of our volunteers (and they are legion) to go out of their way to extend a smile, answer a question, make anyone and everyone feel welcome. This year, we're trying something completely new and different for us. We've broken the conference fee (still $395!) down into five payments of $79. And you can make those payments any time you like, as long as you finish by April 15th. We all know what it's like to live on a budget, and we hope this new option will make the conference a possibility for even more aspiring writers who want to attend. If you're thinking about attending, take the plunge. Before you know it, you'll go from being a new face to an old friend. A published friend. One who spells my name right on the dedication page of their first novel. 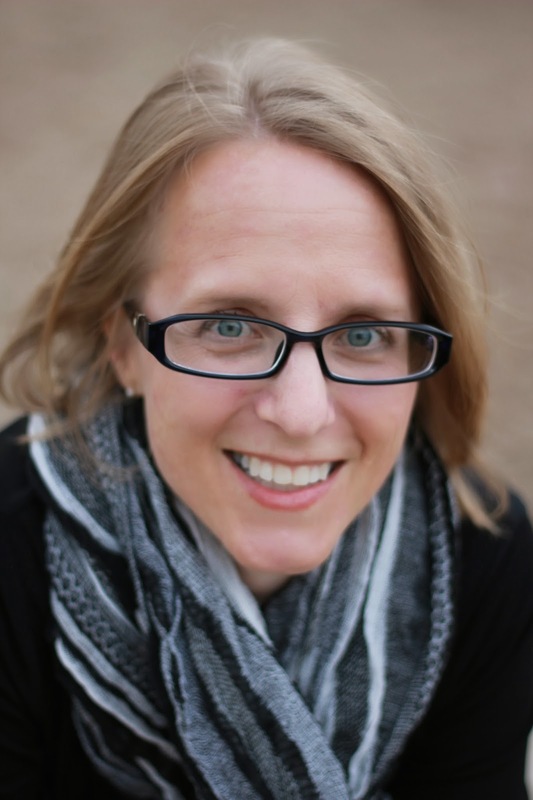 About the Author: MB Partlow, 2014 Programming Director for the Pikes Peak Writers Conference, is hard at work getting fantastic speakers and participants for the conference. You can reach her at programming@pikespeakwriters.com or find more information on the 2013 Pikes Peak Writers Conference at pikespeakwriters.com. Why a Critique Group? Because the Good is the Enemy of the Best! So a couple of months ago, I blogged about how to handle a harsh critique and my critique group read it. Uh oh. I had some ‘splainin’ to do, to quote Desi Arnez as Ricky Ricardo. Some day no one will watch I Love Lucy. It will be gone, like tears in rain. I didn’t want to bash my critique group in that other post; I love those guys, and so I knew I needed to write a blog post about the benefits of a critique group - my critique group. They really are a supremely talented bunch, and I feel very grateful they took me in. Now, let’s be clear, some writers do VERY well without a critique group. They write their books, give them to their editors, and the world loves them. I’ve talked to many Indie pubbed writers making large amounts of cash and they do this (in easy to read steps, for our listening audiences.) I love me a good numbered list. It’s fast and it seems to work. · My rough drafts are unintelligible. My second drafts are worse. · I like the slow progression of a critique group, because submitting ten pages a week gives me time to pound my unreadable drafts into a semi-readable state. · I like the weekly discussions of the book and what arises out of the discussions. Simple comments on a page, like from a beta-reader, isn’t as powerful as the stew of ideas that can be slopped together on a random Tuesday night. · It gives me a weekly deadline that I can’t miss. I submit every time, or at least try. It gives my writing life some structure. · Writing is a lonely thing, and so the social aspect of a critique group is beneficial. Not only do I get comments on my writing, I also get news of the world, what other people are doing, and general shop-talk. · It’s great practice and every time someone doesn’t like what I brought, my skin gets a little tougher. I’m naturally suicidally sensitive, so I need to work on getting thicker skin. 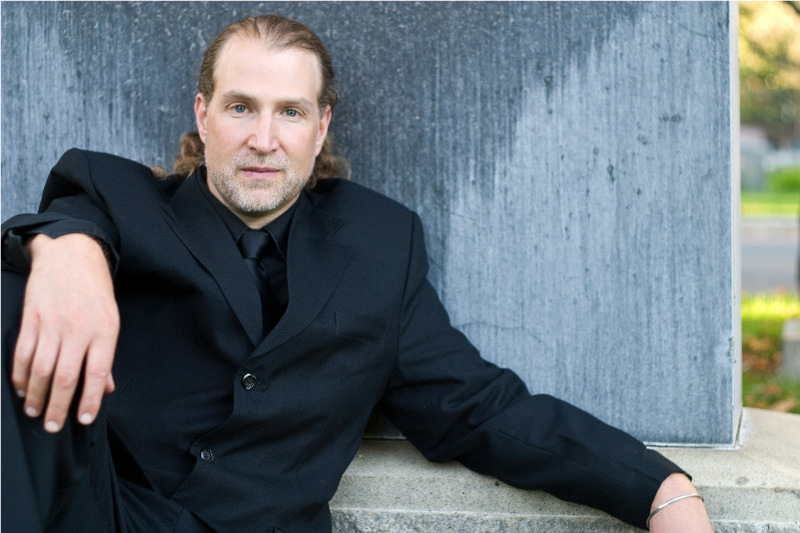 · My work is better because of the critique group experience. On that last bullet point, ‘cause I’m out of bullets, I’ll go all freestyle. The subtitle of this little blog post is “the good is the enemy of the best”. Here’s why. I brought a short story to my critique group. It was a good story, not great, but good. I knew something wasn’t quite right, so I read it over with a friend, and I tried to make it better, but I failed. Then I brought it to the brilliant minds that fill my Tuesday nights. My critique group took something good, and they made it great. The comments and suggestions were fabulous! Most of them. Others I ignored, ‘cause that’s the game. Ignore what can be ignored, follow through with what can’t be ignored. Comments from a critique group is like someone telling you that several million dollars worth of diamonds have been sprinkled across a field of horse manure. You have to search through the manure to find the diamonds. Lucky for me, in my critique group it’s mostly diamonds, and not a lot of horse manure. Still, I just know there’s a pony around here, somewhere, and who doesn’t dig a pony? About the Writer: YA Paranormal author Aaron Michael Ritchey has penned a dozen manuscripts in his 20 years as a writer. When he isn’t slapping around his muse, Aaron cycles to look fabulous, works in medical technologies, and keeps his family in silks and furs. His first novel, The Never Prayer, is available now from Crescent Moon Press. Most recently, his work appears in the steampunk anthology The Penny Dread Tales Volume III and in the May 31, 2013 issue of Electric Spec. His next novel is under contract, due out spring of 2014. It's a happy, little suicide book for young adults. New Year’s Resolutions: Get Ready, Get Set, Get...Writing! Changing your habits is always hard; you’re fighting against your survival instinct. Habits increase survivability and decrease calorie consumption (they let you go on autopilot during a fight or flight situation, and they work just like “sleep mode” on your computer, putting your brain into a low-energy state that’s more easily interrupted than waking up fully). Habits are supposed to be hard to change--they keep you from walking out of the house naked, from getting lost on your way to work when you’re not really awake, and more. But what about when habits need to change? Even though we’re wired for habits, there are ways that we’re wired to make changing habits easier, too. Because you are constantly reprogramming old habits that no longer work, like when you change jobs or move desks: the first couple of weeks are weird, but soon enough you’ll be moving on autopilot while driving to the new job or sitting at the new desk. We’re perfectly okay changing habits when the right conditions are met. The trick is understanding and planning for the right conditions. First, you need to know the process of your habit. It starts with a trigger (some condition that tells you when to start the habit), continues through a routine (the actions that you take during the habit), and ends with a reward (an immediate tangible or intangible benefit). Identify the trigger that starts the existing habit that you want to change. (For example, you want to write for 15 minutes in the morning every day--the trigger might be the alarm going off). Identify the routine. (When does it start, and when does it really stop and your conscious mind take over again--for example, after you have your first cup of coffee at work?). Optional: Establish the attitude that change has meaning. (You can’t change a habit if you’re too pessimistic that the attempt will do any good). Optional: Gather support from your community in changing your habits. (We are social creatures, and approval from our peer groups is a big reward). Optional: Release your doubts to a “higher authority.” (A good explanation for this is in Julia Cameron’s The Artist’s Way. The point is to have something you can fall back on when things go awry--“This isn’t working!” “It will, eventually!” Whatever you normally use for that kind of thing is fine). Once you have those things figured out, make sure that when you hit the trigger, you have planned a different routine--and when you complete it, you immediately give yourself some kind of tangible or intangible reward. To help reinforce the new habit, you could make sure you’re not defeating yourself by saying that you’ll never change the habit, make sure that your community supports you in changing your habit, and release your doubts to your personal higher authority (say, your spouse, your faith, or “the writing process says that I have to fail a lot before I can succeed”). NaNo forces you to find time to write 1667 words every day--or at least to explore different solutions to the problem of finding time. NaNo clearly defines the routine (1667 words or more). NaNo rewards you for completing the routine (daily bar graphs; comparing yourself against others; encouraging emails from professional writers, etc.). NaNo continually sends the message that any writing you get done is valuable. NaNo certainly sends support both through the writing communities (we’re all in it together) and in the wider world (“look, a lot of people are doing this, honey”). NaNoWriMo taps into valuable habit-changing techniques. But for a lot of people, the habit dies down once November is over (or before then, if you’re not setting up a powerful enough trigger/routine/reward process). Now it’s December, though. NaNo is over, and we’re all back in the same boat again: how do we accomplish our writing goals? My suggestion: Start on January 1 with a year-round National Writing Year. Because January 1st has a national, if not worldwide support group for starting new resolutions. January 1st is a holiday that will help boost you in forming habits and provide a little extra push for people who find community support rewarding. How can writers use this? Spend time now, in December, studying the writing habit you want to change and setting your goals (might I suggest 1K a day?). Accept that iterative success is not the same as failure, and that yes, anything you get done has value. Set up a test phase for the new habit in December; make sure to include the trigger for the habit, the routine, and the reward. Be prepared to change your routine if it’s not working, both during the test phase and after you officially start. You want to write every day and have identified that you want to write every day first thing in the morning. Study your early-morning routine. Where does it start, and where does your brain click off autopilot? What triggers it, what do you actually do, and what do you do to reward yourself after you’re done? Figure out a new habit: what’s going to trigger you to start it (pour first cup of coffee), what the new steps will involve (pour first cup of coffee and put it down by computer, start computer, start writing program, write until x words written OR until y time, backup work, close program, open email/web browser), and what the reward is (adding running total to a spreadsheet, announcing word count by way of bragging, staring at the bestseller list for 10 seconds while imagining your book at the top). Tell your support community about your new routine. Report in to your support community about both successes and failures. If you get stuck writing or if your writing isn’t very good, trust the writing process: “writing more now leads to better writing later” and ignore that day’s crap. If you drift off track, look at your routine to make sure it has a trigger, routine, and reward--and that those things are actually meaningful to you. Pay attention to the things you do that don’t make sense; those are usually pretty telling indications of a habit that you need to eradicate or one that you can use to your advantage. Keep flipping over to FB in the middle of writing? Then make FB part of your reward (and make sure it’s not otherwise part of your routine). Upset when you meet your goal but don’t exceed it (this is one of mine)? Then lowball your goals so you can have the reward of overshooting them. Hitting writer’s block every time you sit down to write? Establish a habit for when you’re stuck to get you writing again and remove the word count requirement (change it to time spent instead). "So long as you write it away regularly nothing can really hurt you." -Shirley Jackson, born December 14. ...DeAnna Knippling discusses New Year's Resolutions for writers with "Get Ready, Get Set, Get Writing." ...Aaron Michael Ritchey asks "Why a Critique Group?" ...MB Partlow brings us our first Countdown to Conference post for PPWC 2014! F.T. 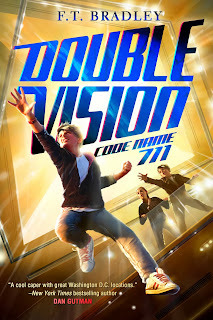 Bradley’s thriller, Double Vision: Code Name 711 (ISBN: 978-0062104403, hardcover, 256 pages, ages 8-12) was released October 12, 2013 by Harper Children’s books and is available wherever books are sold. F.T. Bradley is the author of middle-grade adventure series Double Vision, featuring Lincoln Baker and Benjamin Green. Her husband's Air Force career has F.T. and their two daughters moving all around the world, but for the moment the family lives on the Mississippi Gulf Coast. To find out more about F.T and Double Vision, visit www.ftbradley.com or www.doublevisionbooks.com. Twitter: @FTBradleyAuthor. E-mail: author@ftbradley.com. Last month we talked about setting - the physical world in which our characters come to play. You’ll remember Bo Goldman’s list of things that go into the box (scene) that “jacks up the drama”: setting, weather, costuming, lighting, props, animals. Then we took a look at how some screenwriters set the stage in their scenes. Did you do your homework? How did that work for you? Is this mic on? This month we’re going to add just a bit to the box by discussing character description. Remember that we’re looking at screenwriting, and in many ways screenwriters don’t describe their characters in the same way novelists do. I think we can learn a bit from them, nonetheless. In Story Sense, Paul Lucey informs his audience that characters should be introduced in a sentence or two so as not to limit the casting choices. Not really a problem for novelists. Lucey then goes on to give numerous examples of how characters are first introduced in screenplays. We’ll do the same here. Before I do that, though, I want you to think about your current characters. If you had to describe them in a sentence or two, how would you do it? Take a moment and give it a try. Off the cuff, here’s mine: Chris Gabriel is 6'4" tall with short, dark hair, grey eyes. He’s classically handsome and smiles readily. Okay, take a look at some of these descriptions and then we’ll try again. MUNNY [Clint Eastwood] is thirty-five or forty years old, his hair is thinning and his mustache droops glumly over his stubbled jaw. If it were not for his eyes he would look like any pig farmer with his canvas overalls tucked in his boots pushing on a hog. Unforgiven. DR. HANNIBAL LECTOR [Anthony Hopkins] is lounging on his bunk, in white pajamas, reading an Italian Vogue. He turns, considers her. . . A face so long out of the sun, it seems almost leached – except for the glittering eyes, and wet red mouth. He rises smoothly, crossing to stand before her: the gracious host. His voice is cultured, soft. The Silence of the Lambs. SAM BALDWIN [Tom Hanks] is in his thirties. His neck is pinched into a crisp dress shirt and tie. His expression is vacant, faraway. A breeze blows but he doesn’t react to it. Sleepless in Seattle. A translator's words ring in the earpiece of a handsome man [Harrison Ford] in his mid-forties. Worry lines crease his forehead and the touch of gray at his temples attest to three very difficult years in office. This man is JAMES MARSHALL, and he is the PRESIDENT of the UNITED STATES OF AMERICA. Air Force One. Riding along the road comes WILLIAM WALLACE [Mel Gibson]. Grown now, a man. He sits his horse as if born there, his back straight, his hands relaxed on the reins. He has a look of lean, rippled power. He looks dangerous. Braveheart. MARION [MURRON] MacCLANNOUGH [Catherine McCormack], grown now into a stunning young woman; her long auburn hair reminds us of those years long ago; she wears it the same way, straight and full down her back. Her dress is plain, like the grass that surrounds a wildflower. She’s the most beautiful girl in the village, maybe in all of Scotland. Braveheart. More words, more threats and a great shot of MUSTACHED MAN taking in his surroundings as he and BUTCH talk. Finally (ta-da) BUTCH says, “Can’t help you, Sundance,” and we have the shock, amazement and fear that comes when the rest of the characters - and the audience - find out who this MUSTACHED MAN is. Can you do that in a novel? If you’re creative, you can. But, I’d be willing to bet that our author knew intimately what the MUSTACHED MAN looked like. He also knew how both Butch and Sundance moved, how they talked (or didn’t talk much). As novelists, of course, we have to get all that on paper. Okay, shall I try again on Chris? Chris was tall and lean, with dark, shortly cropped hair and silvery eyes that crinkled when he smiled. He had the look that guys got when charming old ladies. But on this man, it seemed to be second nature. Homework assignment: Write in your books. Gasp, sob. Okay, I admit it, I write in my books. Not books I borrow, but books I own. I underline great writing, be it description or just fabulous wording. So, even if you don’t want to write in your books, you can still start “noting” great setting and character description. Feel free to even send it on to me for my files. If there’s a better way to learn how to write great fiction than to read great fiction, I don’t know what it is. Until next month, when we’ll discuss Visual Storytelling, keep your butts in the chair and your hands on the keyboard - BIC-HOK. Agent Sara Megibow asked and Letters and Lines Fall Conference participants delivered singing Happy Birthday to her husband. It's a little fuzzy as I was singing and taking picture with my cell phone at the same time. "I don't have time to read." That's a statement that doesn't cut it with Author Linda Sue Park. She was a keynote speaker at the Letter and Lines Fall Conference in September for the Rocky Mountain Chapter of the Society of Children's Book Writers and Illustrators. She encouraged the children's writers present — from picture book to young adult — to spend time reading. "Saying you don't have time to read," Park said, "is the equivalent of an Olympic Athlete saying she doesn't have time to train." "Don't let screen time take away from reading time," Park said. She was one of many great writers at the conference. SCBWI has a strict blogging and recording policy, but allows attendees to share impressions and quotes. So here are a few snippets. I don't want to be banned from future conferences. I spent most of my time in picture book workshops. Colorado Springs Author Dian Curtis Regan shared tips on picture book structure. She had writers thinking about page turns and whether a child would want to read their stories again and again? AND would a parent or grandparent want to spend $17 on their books? While exploring her website post-conference, I found this fun link to Write a Young Adult Novel in Five Minutes! During an industry panel, industry professionals from agents to editors said, "Don't write to a trend." Sara Megibow of Nelson Literary Agency suggested writing something from your heart, your voice, and your passion. For children's writers, whether to write to the educational Common Core State Standards seems to always be a hot topic. Kelly Barrales-Saylor of publisher Albert Whitman & Company said the standards don't affect acquisitions, but do affect sales, as it becomes a marketing tool. Editors and agents mentioned they are acquiring new titles. They all encouraged writers to sift through their feedback and keep working. "The only way to fail is to quit," Megibow said. This fall conference always gives me a boost to make it through the end of the year. The greatest piece of advice from the conference? 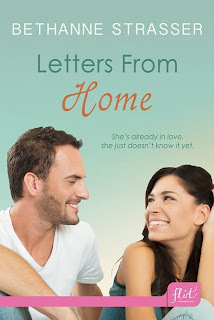 I return to Linda Sue Park, who said that writers can find free writing lessons in books! True. So, grab a book or your Kindle and read.